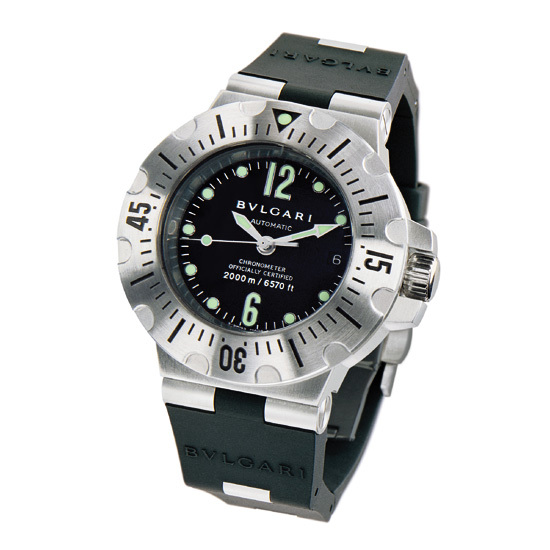 Here is another picture of the new Professional Scuba Diving 2000 Meters model that Bvlgari unveiled at at the April watch shows. This Scuba watch is waterproof to a depth of 2,000 meters or 6,570 feet. It is housed in a steel case, 42mm in diameter with a rubber bracelet and déployant buckle.